Apple joins a short list of companies aiming to revolutionize their employees' healthcare. What if your employer was really invested in your health? I don’t mean just providing you with insurance. I mean operating the clinic itself. Well, Apple employees will soon find out: the company plans to launch new medical practices, named AC Wellness, to treat Apple employees in spring 2018, CNBC reports. The company will start with two clinics in Santa Clara County, California, near its headquarters in Cupertino. 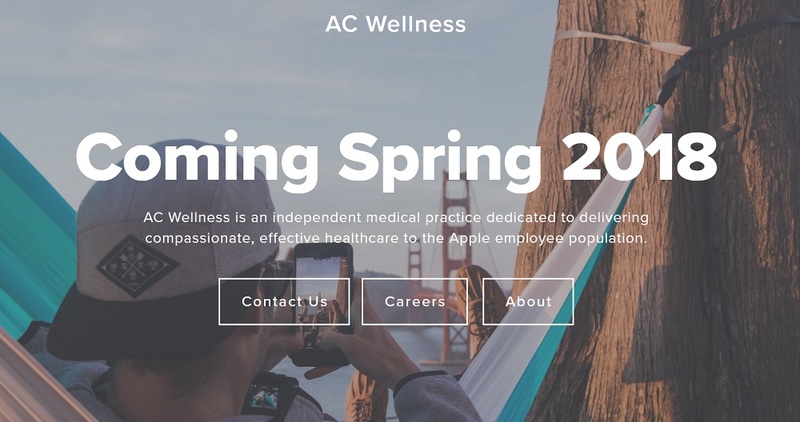 “AC Wellness is an independent medical practice dedicated to delivering compassionate, effective healthcare to the Apple employee population,” according to the AC Wellness homepage. There are already numerous job listings for an acute care physician, primary care physician, exercise coach, nurse coordinator, and more. According to CNBC, Apple is also looking for “designers” to create programs focused on preventing disease and promoting healthy behavior. Furthermore, the clinics will serve as a testing ground for various health-related products and services. Homepage for Apple’s AC Wellness. Image Credit: AC Wellness. Apple isn’t the first company to try its hand at healthcare — last month Amazon announced that it intends to create a healthcare company of its own with Berkshire Hathaway and JPMorgan Chase. Amazon, however, hasn’t announced when its company will go live, so chances are Apple’s initiative will open first. The two corporate giants’ moves towards commandeering their employees’ healthcare bring the future of the U.S. healthcare landscape into question. Companies already exert a modicum of control over their employees’ healthcare options and other benefits, and companies like Google have begun adding on-site wellness centers, physicians, and chiropractors for their workers. Companies don’t do this out of the goodness of their hearts. Health issues cause 69 million workers to skip work each year, reducing economic output by $260 billion per year, according to the Centers for Disease Control and Prevention (CDC). Healthier employees also cost less in the long run because their insurance is cheaper. In short, lower healthcare costs equals higher profits. So all these benefits, this new corporate obsession with subsidizing healthcare? It’s employers looking out for their bottom line. 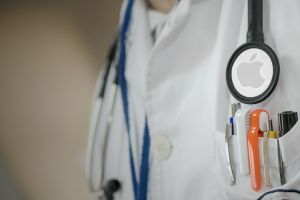 So far, none of the reports have discussed the potential privacy issues that may arise from an employer that operates the clinic where an employee seeks care. There are strict laws governing patient privacy, which Apple will have to be sure not to violate as it both employs and treats people. Amazon and Apple don’t have their own healthcare companies up and running just yet, so we can only speculate. Hopefully their moves might change employee health benefits for the better.